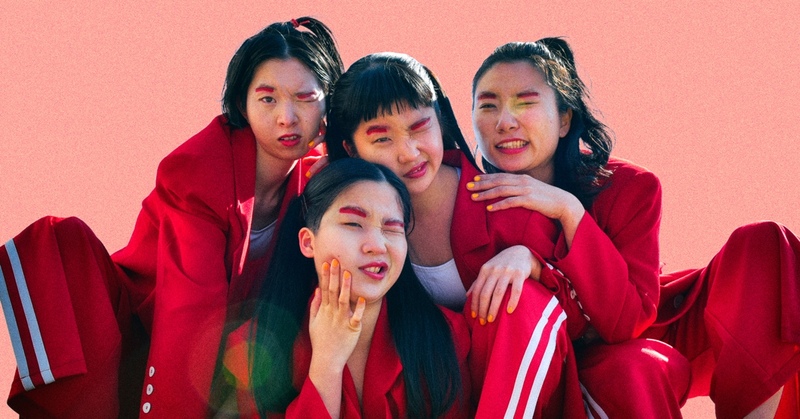 If you think about four girls from Nagoya dressed in loud colours and playing jaggedy, raucous pop-rock, you will probably come up with the adjective “kawaii”, which is really useful to describe the most coloristic Japanese cultural manifestations. But in the case of CHAI, it may be a better idea to put your cute faces and huge eyes to one side: Mana, Kana and Yuna’s charisma lies in the energetic optimism with which they flaunt their condition of weirdos, blasting out songs like small bullets to the glory of body hair, human imperfections and gyozas (their avowed only true love). Adorable? Yeah, but careful with their claws.